The draw was held on Friday 25th July 2014 at the Trust’s Visitor Centre at Wallbridge, Stroud. 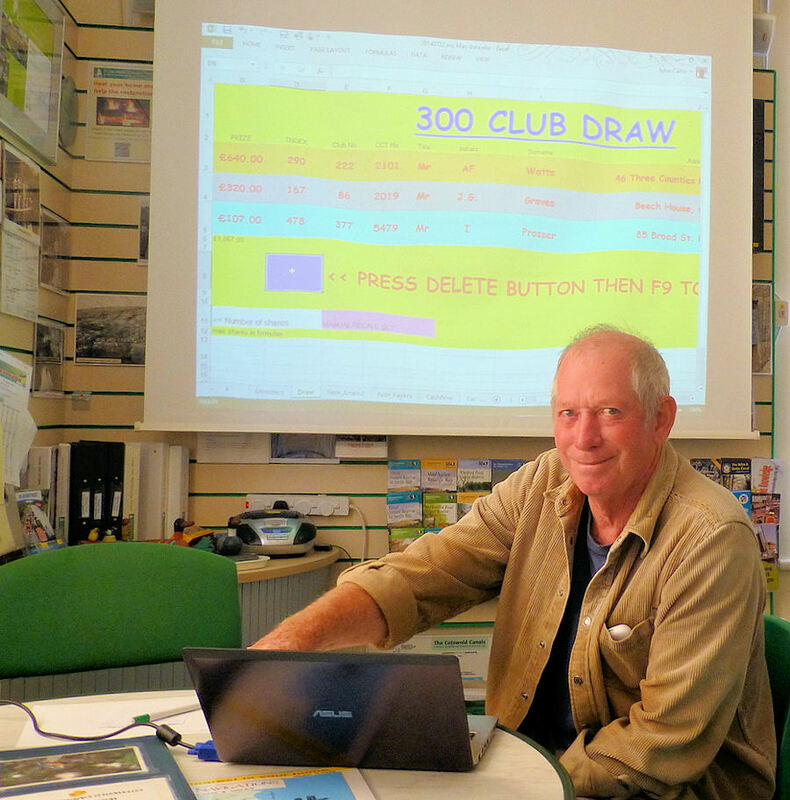 The draw was made by Mike Cook, a keen boater and long time Trust member. Mike had popped into the Visitor Centre for a natter after watching the extensive work being done at Wallbridge bottom lock. Mike Cook is pictured right as he pressed the 'winners button'.